With over $5 billion in assets and offices in Atlanta, Chicago, Delhi, Hong Kong, London, New York, Norwalk, and San Francisco, GE Commercial Finance Global Media & Communications represents a “one-stop” source for the comprehensive range of GE’s lending and other structured financial services offered to the media, telecom, leisure & entertainment, and technology marketplace. For more information, visit www.gegmc.com. 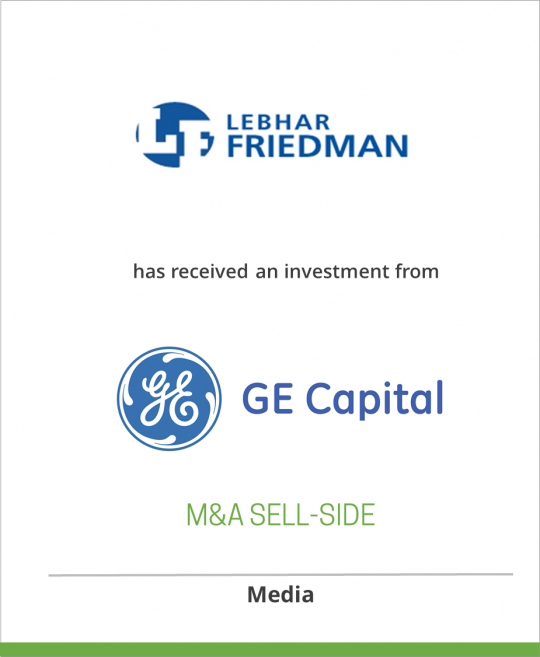 GE Commercial Finance, which offers businesses around the globe an array of financial products and services, has assets of over $230 billion and is headquartered in Stamford, Connecticut.